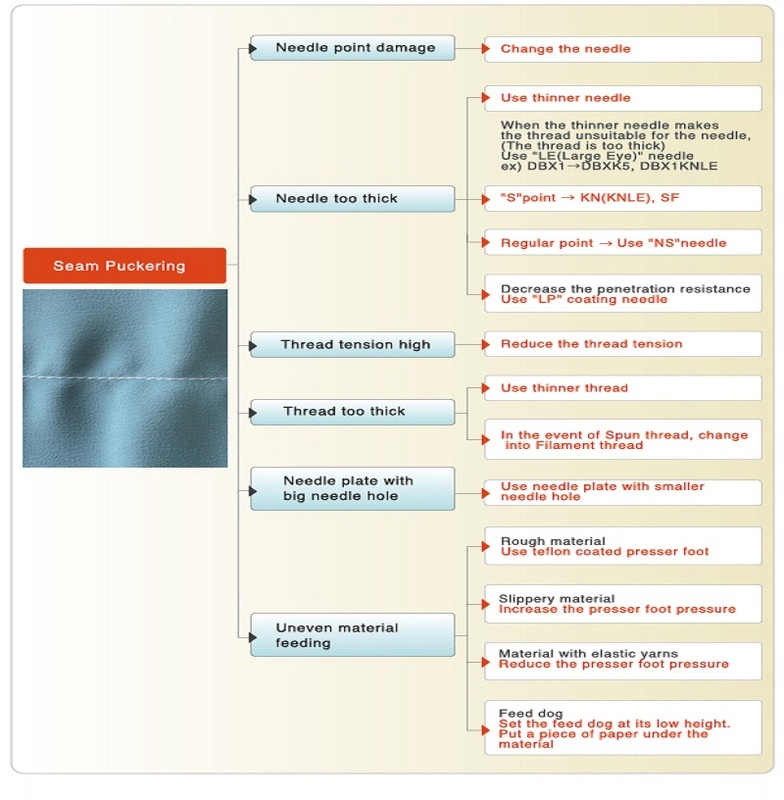 Troubleshooting "Seam Puckering"｜ORGAN NEEDLE CO.,LTD. *The problem is not able to be solved only by changing the needle. Compare a damaged needle point with a normal one using a loupe and microscope. You might find the damage using your finger as shown to the right(②）. 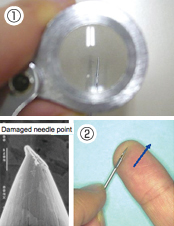 ※Touch a damaged needle point with extreme care to protect your finger.